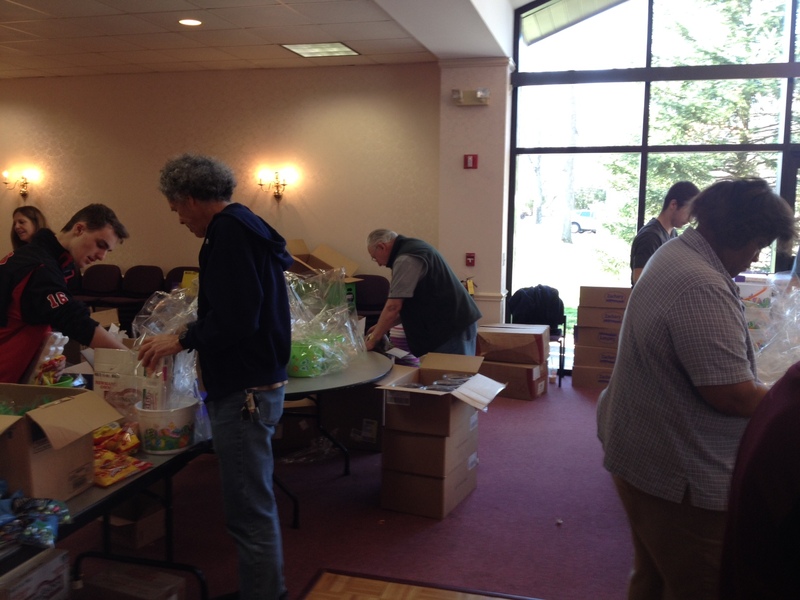 On Saturday, April 12, members of K of C St. Matthew Council 14360 helped assemble almost 2000 Easter & Passover Baskets that are being distributed to children battling cancer, rare blood diseases & severe financial hardship for Al’s Angels. Al’s Angels was started in 2004 by Al DiGuido. For years Al served as a board member for numerous charities. Having seen the good work that these organizations accomplished, Al decided to dedicate even more of his time to helping children and families in need. He founded Al’s Angels with the mission of providing moments of joy and comfort to families that are challenged by childhood cancer, rare blood diseases, AIDS, domestic violence and financial hardship. “St. Matthew Council 14360 is honored to help a great organization such as Al’s Angels. 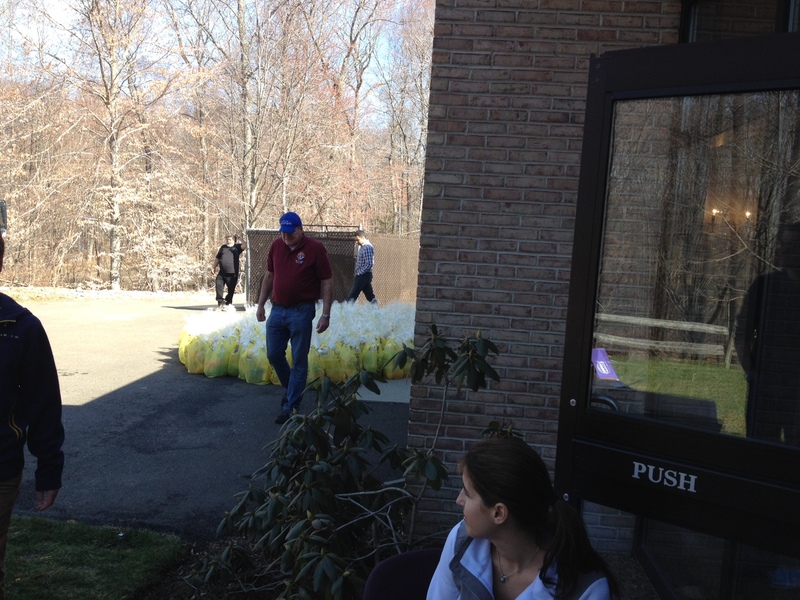 It was great to see the many Knights and volunteers come together to assemble and distribute over 2000 Easter and Passover baskets. 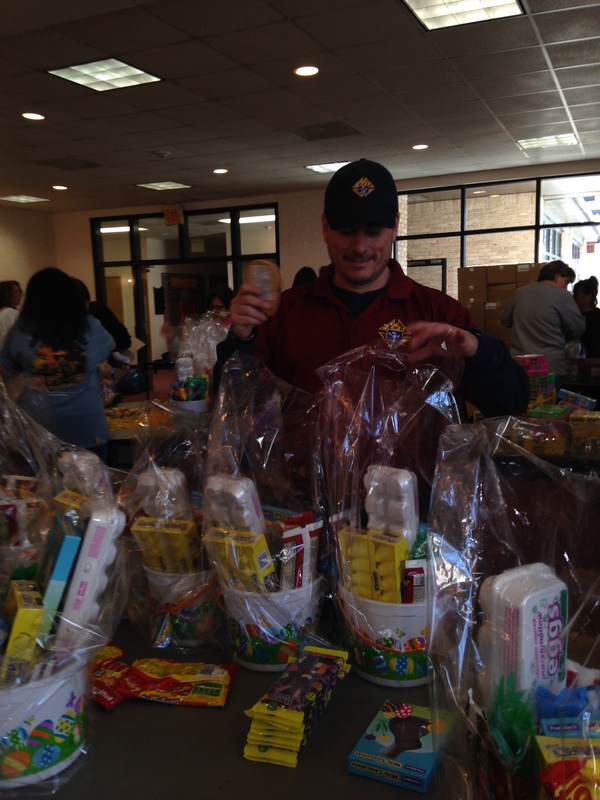 It makes it all worth it when you see the smiles on the recipients of the baskets,” said Grand Knight George Ribellino. The Knights have helped Al’s Angels all throughout the year, particularly during Thanksgiving and Christmas when bins were filled with food to help families in need during the holiday season.